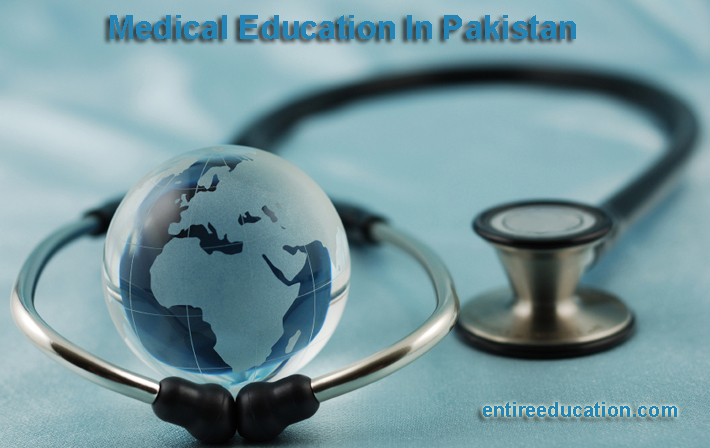 Pakistan Medical and Dental Council commonly known as PMDC is a regulatory body that allows the medical and dental colleges for offering degrees of MBBS and BDS. Before granting permission the authority visited the campus of the medical institute and checks the available facilities in the campus either they are enough for quality education or not. If the institute does not meet the criterion set by PMDC, then authority will not allow the institute for awarding degree. The council was established in 1962. [box type=”info” style=”rounded” border=”full”]Recently Pakistan Medical and Dental Council has black listed some medical colleges authorizes by the government of Punjab, Sindh, KPK, Balochistan and AJK. Here the term black listed and banned means that the mentioned institutes are not allow to admit students for the degree of MBBS and BDS in these colleges due to insufficient facilities. If any student admitted in above mentioned institutes before announcing any notification from the Islamabad Council, If the student get meet any adverse in his career, the responsibility of this adverse will be entirely on the authority who admitted the student and strict panel action will be taken against the institute who admitted the student. All other medical and dental colleges are instructed from the medical organization that they should follow strictly the terms and conditions made by the PMDC regarding all facilities available in campus for students otherwise they may also face these kinds of action from the authority. This list is changed according to the rule & regulations of Pakistan Medical & Dental Council time to time. What you say men? Can you specify your question. Lahore high court cleared independent medical college. Is this true? If Lahore High Court clear this issue then medical college immediately published his press release. College also announced admission if remove from blacklist. Dear you want to apply for which college. Link above shows Lahore high court decision. please comment. inform me about hole process how can apply i am from kpk. Yes, dear you apply for Private Medical Colleges of Punjab with domicile of KPK. What UE Stand for. Kidly elaborate this word then I will guide you in detail regarding its admissions. Currently, FMDC is not removed from PMDC Blacklist. If AIMC is not blacklisted then show your prove letter of remove from PMDC. Secondly which type of revenge that PMDC has with you. There all other medical colleges in Pakistan which is regulated under PMDC. It’s the future of 100 student every year who enrol in AIMC. If student not get recognized degree from PMDC then they lost his money. So, Plz show your prove that you are not blacklisted. Wah Medical College and Al-Nafees Medical College is the institution which has low fees. These colleges is best for you. Last Year UHS Merit is close to 86.57%. You see how merit is high in all govt medical colleges. If you cannot get admisson in Government Medical College then apply Federal Medical College. This is Federal College and his tuition fee Rs 25,000 per year. Sir FMDC is in black list of pmdc so how we can apply in that college and where it is present in our contry kia wo lahore ma ha?? Yes, currently FMDC is in blacklist. But when PMDC remove from blacklist then college has announced his admission for MBBS. This college is located in Islamabad. Sir plz jab nts is ka test conduct karway to inform me about it.. Thank u very much…! When NAT Test is conducted then we have updated on the website. Rai Medical College is affiliated and recognized from PMDC. This college is good and skill faculty. pmdc removed ban from frontier medical college or not? fmdc pmdc se affiliated ha ya nae???? Currently this college is blacklist by PMDC. Sir i got 197 in mcate while 791/1100 in fsc,plz tell me is there any chance to get admission in medical college?and if yes then plz names the colleges,so that i may apply . Dear, you apply for Nursing Diploma in which medical college. Tell me the name of college then I will future guide you. Because Sharif Medical Hospital announced Nursing Diploma Program. sir plz ya bta dain k indpendent mdical college registerd h k ni? This Medical college is currently blacklist by PMDC. Yes, you get admission in WMC. Sir kia Independent Medical College Faisalabad black listed hai.magar wahan admission to ho rahe hain .agar black listed hai to un logon ka kia ho ga jo wahan paise jama kara rahe hain. Sir please tell me. Kya yusra medical college blacklist me hai ??? Currently, no updated will be mentioned regarding FMDC. When admission announced then we have updated on the top of the website. You will check website regularly in a week. Sir I got 780 mrks in fsc nd 786 in mtrck nd 394 ajk entry tst…..ab mera lya knsa privte clg bst rha ga..
aoa sir Is yusra medical and dental college blacklisted by pmdc? No, this college is not currently Blacklisted by PMDC. Is AIMC register from PMDC ???? Yes, this college is register by PMDC. Is abbottabad international medical college is registered by pmdc this year (2015-2016) or not?????? sier pmdc ki blaklist may ab indepndt madical college ka nmae ni…..
but em confused plz bta dain ya registerd h k ni????? sir is the fmdc test on 10 november?????? Currently, FMDC admission are not announced. Sir rahbar medical college register hai k nai.??? Admision ki permision to mil gai hai unko ??? Or rai medical college sargodha ko b ??? Yes, both medical colleges get affiliated and registration from PMDC. sir i got 752 in fsc and 816 in matric 355 in uhs and applied in rai medical college can i get admission ?? Yes, you will apply for admission in Rai Medical College. Currently, last year merit is totally low. so this present year merit is not confirm. I hav 81.671% this year can i got admsn in wah mdcl clg? ?is this best clg?? Yes, you have much better chance of admission in Wah Medical College. This is best medical college with the blend of qualified and skilled faculty. Currently, this college blacklisted by PMDC. Can I get admission in mohu din islamic medical college mirpur azad kashmir?? This college is blacklisted by PMDC. AOA sir my aggregate is 64 percent mera Pakistan MN ksi private medical college MN admission ho sakta hh ya nai nn in which medical college should I apply plz sir guide me,,…. Sir can u tell me plz that in which private medical college admission is possible my aggregate is 64 percent …. Your admission is possible but not confirm in two medical colleges. I have reply your questions. Dear, Taimor you get confirmation from admission cell of medical colleges. Dear, you call in Admission Cell of the both medical colleges and get admission update. There is total 50 seats reserved for Civilian applicants in NUST AMC. Merit should be final on open merit. If you want to get confirm admission then must score 180 marks in NET-1. In addition, you FSC number is too good. Currently, this medical college not announced admission for 2014. Rai Medical College is currently recommended by Ministry of NHSR&C. It will soon added in the list of PMDC. But this college approved by PMDC. rahbar pmdc se recognised hae kya ? Yes, this college is recognized and will be updated soon at PMDC website. Currently, ,admission will be closed in all private medical college. When new admission announced then we have updated on the website. me wants a degree in m.sc ultrasound please guide about good institution in lahore. Can you kindly tell me that session 2013-2014 of fmh lahore is registered according to pmdc or not? FMH College is not blacklisted by PMDC. This college is fully permitted and approved by PMDC. Plz Sir can you tell me that studying in blacklisted medical college whose admissions are opened by taking proper stay order has any effect on our degree? Currently, this college is not permitted to announced new admissions. When PMDC allow this college to announced admission than we have updated on the website. sir nts is taking test for fmdc……is it authorized? so it means that i should not skip the test and if selected INSHAALLAH should not cancel my admission……. Yes, if you selected than your admission will accepted and eligible to study in FMDC as Doctor. Apart from this according to the press release of 27 March Federal Medical College is affiliated with PIMS Islamabad. So, PMDC will soon remove this college from blacklist. Currently, FMDC affiliated with PIMS Islamabad and soon it’s issue will be resolved with PMDC. Sir! Please tell me if Abbottabad dental and medical college is removed from blacklkist this year (2015) or not???? Cz I have applied there. Sir please do tell me abbottabad international medical and dental college now for admission 2015-2016, is registered or not??? Can I apply there? AGR MEDICAL K KISI SUBJECT MA DIPLOMA KRNA HO TO KON SE INSTITUTE SE KIA JAY? OR KYA DIPLOMAS KI BASE PY JOB MIL JATI HA?